Majestic Princess is the newest addition to the fleet and is a sister to Royal and Regal Princesses. The new ship will be based in China year-round and become the first vessel tailored specifically for Chinese guests incorporating a unique blend of international and Chinese features. 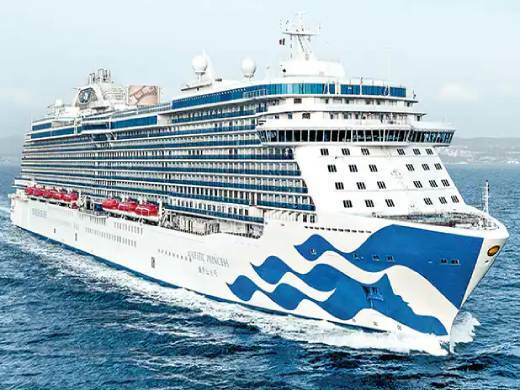 She will be home-ported in Shanghai, carrying 3,560 guests for cruises to Japan and Korea, and will offer many of the special features that have made Royal Princess and Regal Princess so popular and distinctive. These include a dramatic multi-story atrium serving as the social hub of the ship; the unique over-the-ocean SeaWalk - a glass-floor walkway extending 8 meters (28 feet) beyond the edge of the ship; special Chef’s Table Lumiere - a private dining experience that surrounds guests in a curtain of light, as well as new venues and features developed for Chinese travelers. Swissotel Merchant Court, Singapore is a luxury hotel ideally located by Clarke Quay, within walking distance of the financial hub of Raffles Place, and close to major places of interest including Chinatown, and the numerous bars and restaurants on the famous Clarke Quay and Boat Quay. The 476 beautifully appointed guest rooms and suites cater to the needs of the most discerning travellers.